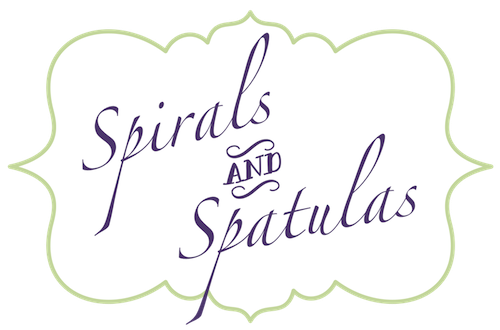 Spirals & Spatulas: It's Season Premiere Time! Today, Jeff and I are kicking off television premiere season with one of our favorite shows... Parenthood! We are NOT adding any more shows this year. Time-crunched law school Katie just cannot handle it. We've got our four tried-and-true favorites, and we're just going to stick with those! It's funny... we kind of have a "yours, mine, and ours" TV show collection... I've been watching Grey's Anatomy since Season 1, and I eventually got Jeff hooked on it too (we're actually currently watching the Season DVDs starting with Season 1 because Jeff hasn't seen the beginning episodes!). Jeff discovered Parenthood, and eventually convinced me to start watching it as well. 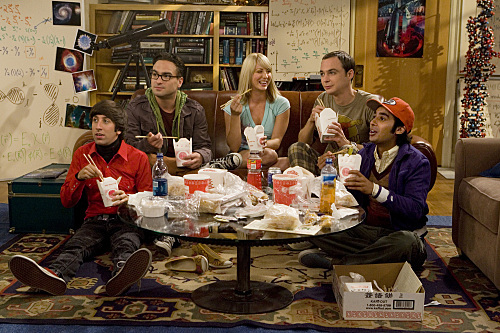 Big Bang Theory and Modern Family were shows that we kind of discovered together and have both been watching since the beginning. But seriously... I don't have time for all of this! Haha! What's on your season premiere list? Anyone else have the same four as us? We LOVE Parenthood and Modern Family! I'm not a big TV person, but I love those shows! let's see...we love modern family, how i met your mother, and parks & recreation. we still watch the office, even though it's really gone downhill, just because we can't say goodbye to the characters. i have really been wanting to check out parenthood, though. everyone else in my family is hooked!